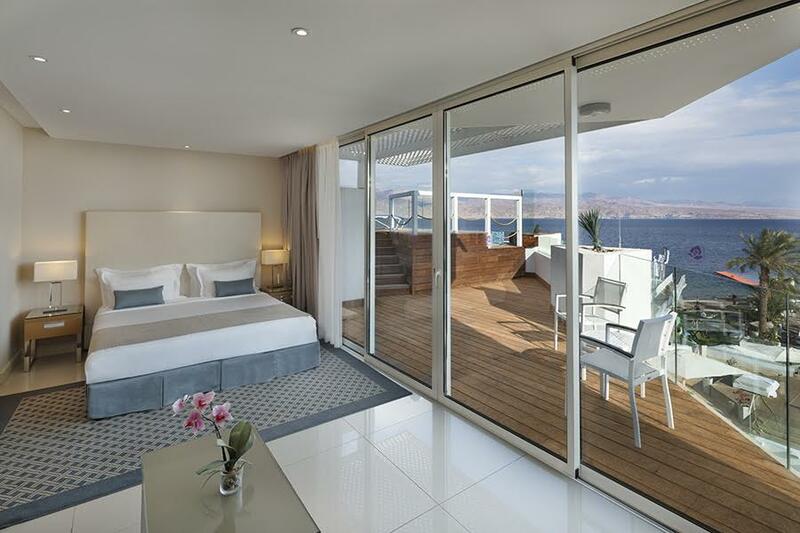 The Orchid Reef is one of the hotels Orchid Hotel Management offers in Eilat. 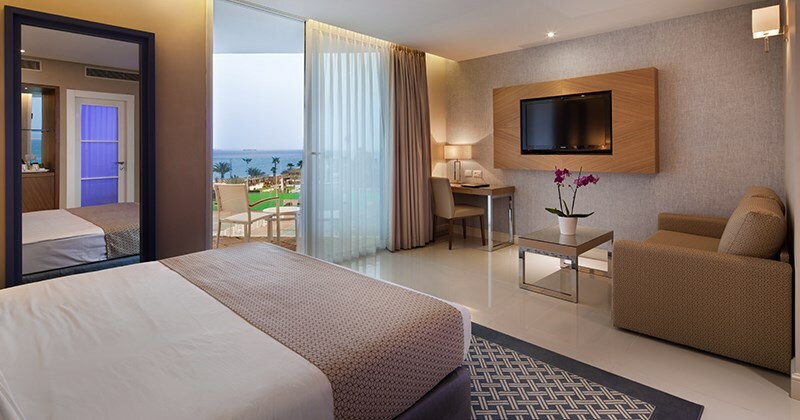 This newly refurbished establishment is Eilat’s only boutique hotel, ideal for guests looking for a comfortable, more intimate setting. 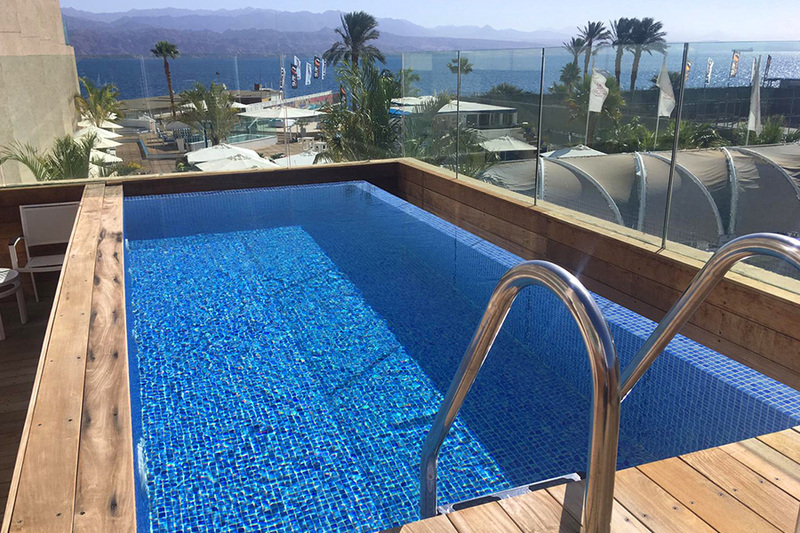 Located on the shores of Coral Beach, the Orchid Reef offers its guests access to one of the nicest locations in Eilat, at a more affordable cost. The hotel is made up of 79 spacious rooms and suites and offers a swimming pool, beach access, a spa complex, fitness facility, a restaurant and dining hall. Guests can enjoy the peace and tranquility of the Red Sea all the while being less than ten minutes away from the city center. Enthusiasts of the outdoors can rejoice; the Orchid Reef provides a full range of water activities from kite surfing, windsurfing, sailing and more. Our welcoming staff aims to make all guests feel as comfortable as possible in attempts to make the hotel feel like a home away from home. 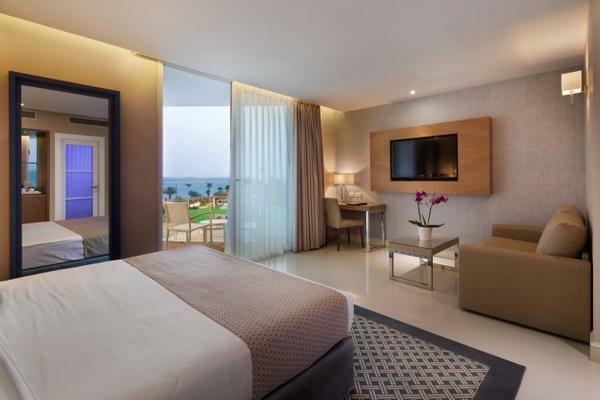 Deluxe with Sea and Pool ViewDeluxe rooms are spacious - room size is 24 square meters excluding bathroom - equipped comfortably which make the Orchid Reef Hotel one of the most popular hotels. Most rooms have King Size bed, Balcony, Refrigerator, Coffee machine, telephone, safe deposit box, flat screen TV, kettle. all rooms have balconies facing the pool or the sea. 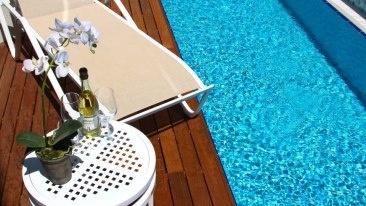 Deluxe Private Complex PoolWireless Internet and international phone calls to over 60 destinations. Deluxe Room on the water suitable for couples with a wooden deck, terrace, sunbeds and direct access to the pool. A king-size bed in the room, LCD TV, refrigerator, coffee maker, telephone, radio, safe. The room is designed for guests over the age of 18. Deluxe RoomWireless Internet and international phone calls to over 60 destinations. The spacious deluxe rooms are suitable for a couple + 2 children. A king-size bed in the room, LCD TV, refrigerator, coffee corner, telephone, radio, safe. Most rooms with balconies, rooms with a view for an additional fee.